In my latest article for The Post Lab, I share some thoughts on the approach to sound design for an amazing film I did last year, HOURS. I've gushed about this film ever since I first met writer/director/producer Eric Heisserer, and I know there will not be a dry eye in the house when HOURS makes its big premiere at this year's SXSW Film Festival in March. 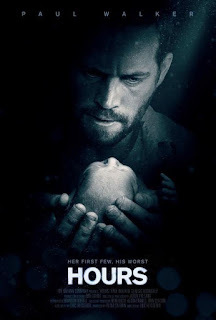 As a father of a three-year-old daughter, I can fully relate to the emotions that drive and torment our lead character, Nolan, and for most of my editorial time on this film, my eyes were a well of tears. Thankfully, I've never had to experience the series of unfortunate events that Nolan does. Hopefully, I never will. Please watch the latest trailer for the film, hot off the press (below). If you can make it out to Austin this March, I highly recommend you try and catch a showing of HOURS. I wish our filmmakers lots of luck at SXSW, and I hope the film finds a good home with strong distributor!